St. Stephen's Church is a Grade II listed building sited within the Aldwark Conservation Area. Lady Frankland-Russell of Thirkelby Park, commissioned the church in 1852. She was the daughter of Henry Frankland and was the owner of the land around Aldwark. 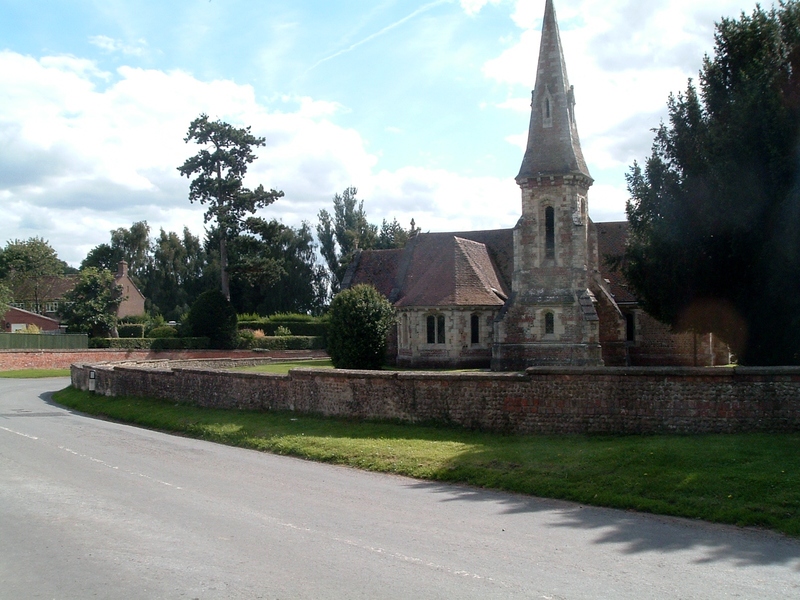 The church was consecrated in 1854 as St Stephen's, a Chapel of Ease to the Parish Church at Alne. Later, in 1862-4, the same Lady commissioned the same architect to build Aldwark Manor, as a wedding present for her daughter. The Church was designed by E B Lamb who built 5 other churches in Yorkshire. He was a so-called 'rogue architect' but nevertheless succeeded in leaving us with a lovely little Victorian church, beautifully sited at the entrance to the village. It is almost domestic in size, initially built for the local farming community but now, happily, an ideal size for present day Aldwark. Externally, the low walls, steep roof and slender spire are quite striking. Decorative tiling in the roof, the use of local cobbles and herring-bone brickwork in the walls all add to the external appearance. Internally, there is a sense of intimacy as from any pew you can see and hear everything. Daylight from a rose window illuminates the small chancel, the transepts have attractive polygonal ends and the nave terminates in a fine stained glass window by Kempe (1885) depicting the story of St Stephen. The original Victorian furniture is largely intact and, with no floor covering and virtually no additions, the interior is simple and unspoilt. Eucharist services are held on the first and third Sundays of the month at 9.00am. For more details of church services and church activities, please see the Parish Newsletter.